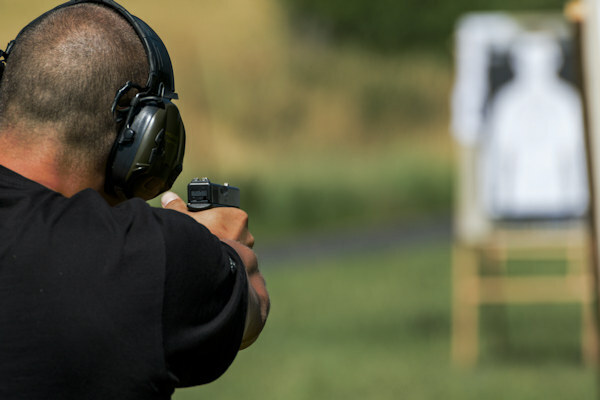 Will You Be Spending More Time At The Gun Range In 2019? Thread: Will You Be Spending More Time At The Gun Range In 2019? Will you be making any changes in the coming year? Will you be spending more time at the gun range? Old Man and G26Raven like this. Old Man, CG11 and msgt/ret like this. I live at the gun range, so no, I don't anticipate spending more time here in 2019. Old Man, ColoradoDiablo, viney266 and 1 others like this. As 2019 will be my first year of full retirement it is hard to say, but after only two months the wife is already saying that I need to get out of the house more, so I think that will include more time at the range. ShooterGranny, Rockymonster, viney266 and 4 others like this. Difficult getting time and motivation to do anything with my highly abusive and controlling wife. Also my mother-in-law is getting much worse (Alzheimers) and so demands more attention, meaning its more difficult for me to get my hours in, especially when she's having difficult days. I do need to get out there more, but who knows. I hope to get a lot more range time in - weather and health issues permitting. Each time I do get to the range I want to go every day thereafter. "Wants" and "able to's" are different things though. Old Sarge, Cricket, Rockymonster and 6 others like this. Cricket, Rockymonster, airslot and 1 others like this. The gun club has offered to pay for me to get several more NRA certifications so I can teach more classes. Cricket, Rockymonster, ShooterGranny and 7 others like this. Why is an admin from Canada asking questions of Americans that most here wouldn't answer? glockman10mm, jmf552, wmhawth and 2 others like this. You realize I am the community manager and that I live in Texas, right? ShooterGranny, msgt/ret, gasmitty and 1 others like this. Normally, I am not big on changes, especially when it comes to resolutions. After experiencing some profound losses last week though, I am finding myself rethinking a few things, especially those things that matter most. I tend to be a bit of a workaholic. That won't be changing but I am starting to focus on working smarter instead of harder so that I can spend more time doing those things that I enjoy the most. That will include spending more time at the gun range. maxwell97, glockman10mm, LimaCharlie and 5 others like this. More time at the range?? Oh yes, that is my plan. It's the same one I had last year. Maybe this year I will actually be able to follow it. airslot and DZUS like this. CG11, msgt/ret and airslot like this. Definitely. I am now working as a part time RSO. So yea, I’ll be there more often in 2019. Cricket and DZUS like this.